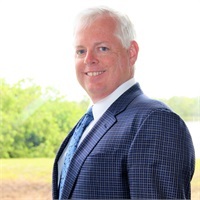 Myles has been Senior Associate at Westshore Financial for more than a decade. With over 28 years of experience in the financial profession, he holds various certifications. His extensive education and experience in the finance industry have enabled him to assist thousands of individuals through his long-term planning and wealth building strategies. Originally from St. Louis, Missouri, Myles and his wife Vicki relocated to Central Florida in 1999. They have been married 18 years and enjoy traveling, cooking, and antiquing. By watching his parents encounter difficulties while growing up, Myles saw the need to help people make sure their families were taken care of financially. Myles first got his start in financial planning with MetLife. He quickly became an excellent source for not only the company but customers as well. Myles admires all of his customers, but prizes those whose primary concern is family security. In his own words, “I love being able to provide my clients with the relief and knowledge that their family’s financial security is assured.” In addition, he also loves working with business owners in developing long term business plans that culminate in a stable exit strategy that allows them to bequeath the company assets to their children. Myles can work with you to understand your goals and objectives and then provide a customized plan to reach them. Your questions and concerns are not trivial, but the first steps toward financial security for you and your family. Myles strives to be more than just your financial planner, he seeks to develop a personal connection with each client. If you are looking for a respected financial advisor that takes the time to understand your needs, then contact Myles today at at 407-628-8222 ext 13 or [email protected] for a complimentary review. Westshore Financial Group is an Agency of The Guardian Life Insurance Company of America® (Guardian), New York, NY. Securities products and advisory services offered through Park Avenue Securities LLC (PAS), member FINRA,SIPC. OSJ: 4200 W Cypress Street, Suite 700, Tampa, FL 33607, ph#813.289.3632. PAS is an indirect, wholly-owned subsidiary of Guardian. 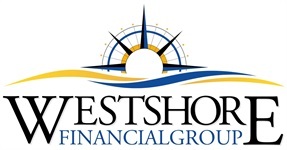 Westshore Financial Group is not an affiliate or subsidiary of PAS or Guardian.